It’s always encouraging and motivating when spring time rolls around, to see more runners out and about – from the tried and true marathoners, who are happily getting their spring training completed in nicer weather, to the more fair weather runners who are dusting off their shoes and getting their running muscles moving again after a long winter. In either case, nutrition plays a vital role in making sure that you, as a runner, are performing your best, feeling your best, and achieving your goals. The topic of nutrition and running is broad, and impossible to cover within a few pages, so I thought I would cover some of the key questions that often come up when I’m working with runners. Carbohydrates: Your Running Friend or Foe? Carbohydrates have long been the runner’s best friend. I have met many a recreational runner who have the “run to eat carbs” mentality (versus the “eat carbs to run” mentality), and will happily plug away at the miles in order to indulge on piles of waffles, pancakes and bread. And who doesn’t love the carb-load pasta dinner the night before a big race?! Previous recommendations were to consistently consume a high carb type of diet for distance running. Recently however, there has been more attention paid to the role of fats and consideration put into whether the high carbohydrate paradigm is really the most effective in helping optimize performance. Has the dreaded day come when carb restrictions will be imposed on runners, the people who know and love them best?! Well, if you’re a carb lover, you can breathe a sigh of relief because the short answer is: no. Carbohydrates are the preferred fuel source for running. Carbs provide a higher yield of energy for the amount that is oxidized during exercise (when compared to other substrates such as fat), resulting in improved running efficiency. Carbs fuel the brain and central nervous system, and studies have shown that performance improves when high carbohydrate availability is maintained to meet fuel needs during running. However, runners should take into consideration what type of carbohydrates they are consuming and how much they are consuming. For example, if you are a recreational runner (eg. running 3-4 times per week for 30 minutes each time), your carbohydrate needs will not be much higher than a non-runner. If you are running more frequently and longer distances, for example, running 6 days per week for an average of about 1 hour per day, then your recommended carbohydrate intake would be increased. In this example, you should aim for about 5-7 grams of carbohydrate per kilogram of body weight. If we use the example of a 140 lb runner, she would need to consume 320-450 grams of carbohydrates per day for optimal running performance and energy. To put that into perspective, 1 medium sized apple contains about 20 grams of carbs, and 1 slice of bread contains approximately 15-20 grams of carbs. This may seem like a large amount of carbohydrate to consume in a day. However, you want to avoid consuming any and every carbohydrate in sight, and instead, want to ensure that your carbs are coming from nutrient-dense and whole food sources. Some examples of healthy ways to include carbs might be having a bowl of oatmeal and fruit for breakfast; adding some roasted sweet potato or quinoa or bulgur to your salad at lunch; and including some wild rice or barley at supper. Nutrient-dense, carbohydrate-rich foods should be included at each meal and snack and should include foods like: fruit, starchy vegetables (like potatoes, sweet potatoes, winter squashes like butternut and spaghetti squash), whole grains (like quinoa, brown or wild rice, buckwheat, bulgur, barley), legumes (like lentils, black beans, chickpeas) and dairy products & alternatives (like milk and yogurt). Another great way to ensure that you are getting enough carbs to fuel your run is to make sure that your pre-run and post-run snacks include healthy and adequate sources of carbohydrate. This way, if you take a rest day, or are not running as much within a given week, your carbohydrate intake will naturally be a bit lower (and will better match your activity level) because you won’t have the pre/post run snacks on the non-running days. There is no one-size-fits-all approach to what you should eat prior to a run. It is very dependent on each person’s tolerance and preferences to certain foods before exercise. 1. How much time do I have before the run? Typically I recommend having a small snack about 1 hour before the run to ensure that you have enough fuel and energy for your workout. If you are having a snack 30-60 minutes prior to running, it’s best to keep it small, carbohydrate-based and try to avoid too much fat, fibre, or protein, as these may cause "gut-distress" during the run. If your run is longer than 60 minutes, it is recommended to consume a carbohydrate rich snack within 1-3 hours of the run. Some ideas for a snack within 60 minutes of a run include: a ripe banana, or a slice of toast with thin spread of peanut butter, a packet of plain instant oatmeal, or a small container of low fat yogurt with berries. If are eating 2-3 hours before a run, including slightly more protein will likely be tolerated. Examples include: a wrap with chicken or turkey; greek yogurt with berries and sprinkle of granola or walnuts; or an egg with spinach on an English muffin. 2. How intense will the run be? Digestion is greatly affected by the intensity of the workout. If you are doing an easy run, you could likely eat a larger snack or meal beforehand and feel no ill effects. If you are doing a more intense workout, such as hill repeats, a tempo workout, or speed intervals on the track, you will be better off with either consuming a lighter snack; or waiting a longer period between eating and the workout; or perhaps just sipping on a carb-containing drink (such as a sports drink) prior the workout. Coffee Before a Run: Yes or No? This was the advice that she had received from the race organizers about how to prepare for the race. She was concerned that she might encounter withdrawal symptoms, as she had typically had a cup of coffee before her long runs during training. I was happy to let her know that in fact, there is significant evidence to suggest that caffeine may actually have an ergogenic (i.e. performance enhancing) effect on running. There are several different mechanisms that explain this effect. First of all, caffeine increases the circulation of free fatty acids, resulting in sparing your carbohydrate (glycogen) stores, leading to increased endurance. Secondly, caffeine also appears to have an effect on the central nervous system because it is antagonistic to adenosine (which has an inhibitory effect in the brain) and binds to its receptor sites, which provides a decreased perception of fatigue. There are still some unanswered questions about the dosing for caffeine, but benefit has been seen with a dose of 1-3 mg/kg body weight (doses up to 6 mg/kg body weight have been used in studies), taken about 1 hour before exercise. If we use the runner from our earlier example, who weighs 140 lbs (64 kg), she would need to consume 65-190 mg caffeine prior to exercise. One medium coffee from Tim Hortons contains 205 mg of caffeine and a medium tea would contain about 75 mg. Some sports drinks and other products (like gels, which are carbohydrate supplements that runners take during long runs) also contain caffeine (usually in the amounts of 25-100 mg). Make sure to double check the caffeine content if you are using these products (either if you do or do not want the extra caffeine). Something to keep in mind with the use of caffeine in sport is that more is not better. As noted above, the amount of caffeine needed to see an effect is minimal. Caffeine can cause unwanted side effects such as feelings of anxiety, restlessness and poor sleep quality. Some people tend to respond very significantly to caffeine, while others are non-responders (meaning that even a higher intake will not have an effect – positive or negative). Also, caffeine can have a stimulatory effect on the gastrointestinal tract, so it is important to know how your body will react to caffeine before trying it in, or before a race or competition situation. Make sure to weigh the pros and cons of caffeine or coffee intake before running to decide if it is something that you think will be of benefit. Just like anything else, it is important to practice what you eat and drink during your training and not try anything new on race day. So as you head out on the roads and trails this spring, be mindful about your nutrition practices. Consider whether adding healthy carbs and optimizing your pre run nutrition may help you meet your goals: whether that’s running faster, or longer, training for your first race, or finally hitting that PB race time. Without a doubt, consistent and solid nutrition practices, based on whole and nutrient-dense foods, will result in improved performance. Fuel your body to achieve new success in your running and enjoy good food while you’re at it! Australian Institute of Sport (2014). Retrieved from http://www.ausport.gov.au/ais/nutrition/fact_sheets/carbohydrate_how_much. Burke, L. M. (2008). Caffeine and sports performance. Applied Physiology, Nutrition and Metabolism 33: 1319-1334. Burke, L.M., Ross, M. L., Garvican-Lewis, L.A., Welvaert,M., Heikura. I.A., Forbes, S.G., Mirtschin, J. G., Cato,L.E., Strobel, N., Sharma, A.P., Hawley, J.A. (2017). Low carbohydrate, high fat diet impairs exercise economy and negates the performance benefit from intensified training in elite walkers. Journal of Physiology 959 (9) 2785-2807. 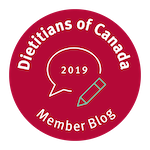 Dietitians of Canada (2016). Nutrition and athletic performance: Position of Dietitians of Canada, the Academy of Nutrition and Dietetics and the American College of Sports Medicine. Retrieved from www.dietitians.ca/sports. Tim Hortons Caffeine Content (August 2015). Retrieved from https://www.timhortons.com/ca/en/pdf/CAFFEINE_CONTENT_-_Canada.pdf. Cara Kasdorf is a Registered Dietitian who specializes in Sports Nutrition. She sees a wide range of athletes, from the weekend warrior to the competitive athlete, at her private practice at the Grand River Sports Medicine Clinic in Kitchener. You check out her webpage here.